Enjoy Over 100 Stress-Free Recipes With Prep Time of 20 Minutes or Less! Feeling overwhelmed by life’s daily demands? Could you use some encouragement and inspiration in the kitchen? 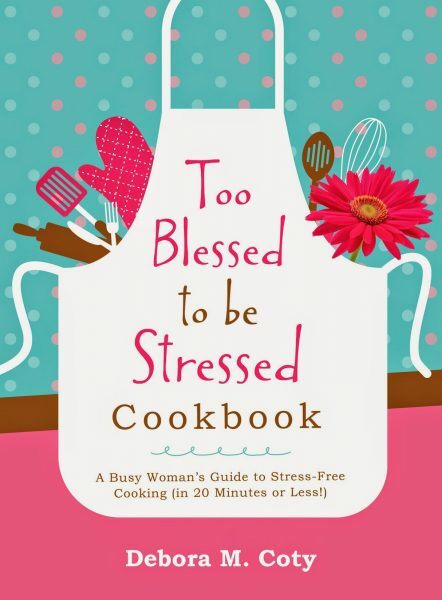 The Too Blessed to Be Stressed Cookbook features over 100 recipes that can be prepared in 20 minutes or less. Plus, you’ll encounter fabulous tips and suggestions, as well as funny foodie quotes, scripture selections, humorous stories of cooking misadventures, and more along the way. All recipes are accompanied by appealing full-color photographs (Click on the Read a Sample button for a mouth-watering preview.) 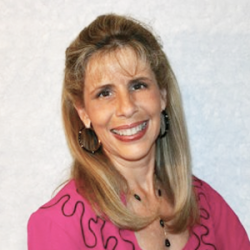 Your tummy and heart will cheer as you soak up the joy that Debora Coty brings into your life and kitchen!